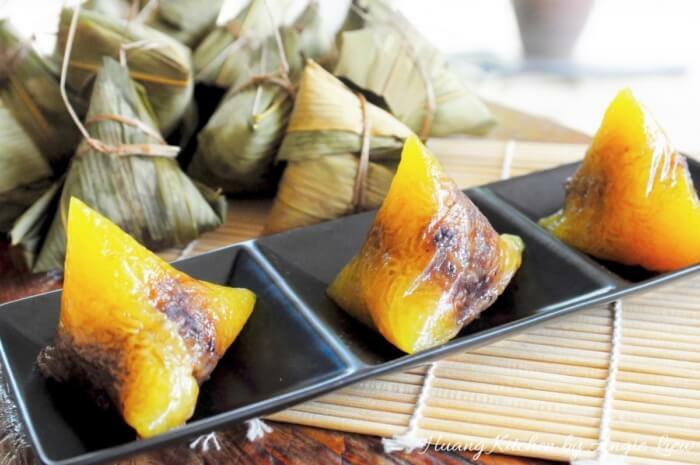 Alkaline water dumplings, also known as Kee Chang (碱水粽/枧水粽) are made using glutinous rice with alkaline water added. Alkaline water is now readily available in most Asian grocery stores. 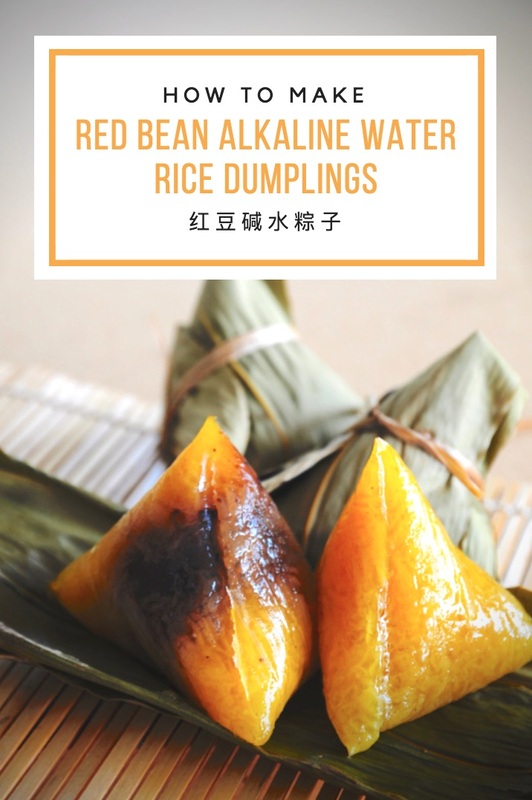 In making these dumplings, alkaline water gives the dumplings a slightly astringent flavour and changes the colour to a shiny light yellow which is the characteristic of an alkaline water dumpling. 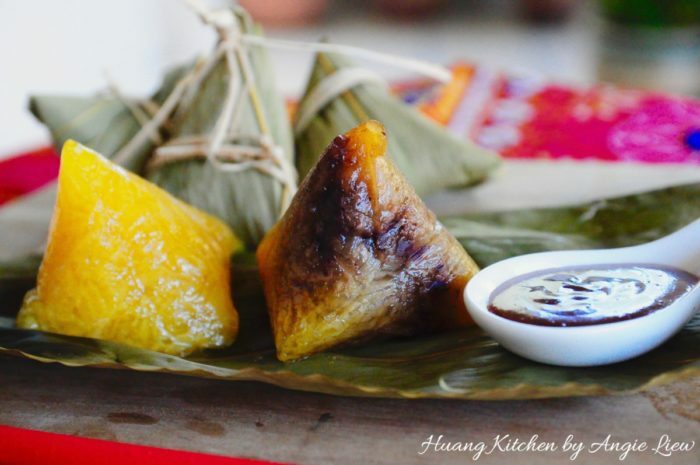 These alkaline water dumplings are often cooked plain with just the glutinous rice and served unwrapped either plain or with sugar, palm sugar or even coconut jam (Kaya). However, I like to make my Kee Chang wrapped with red bean filling. 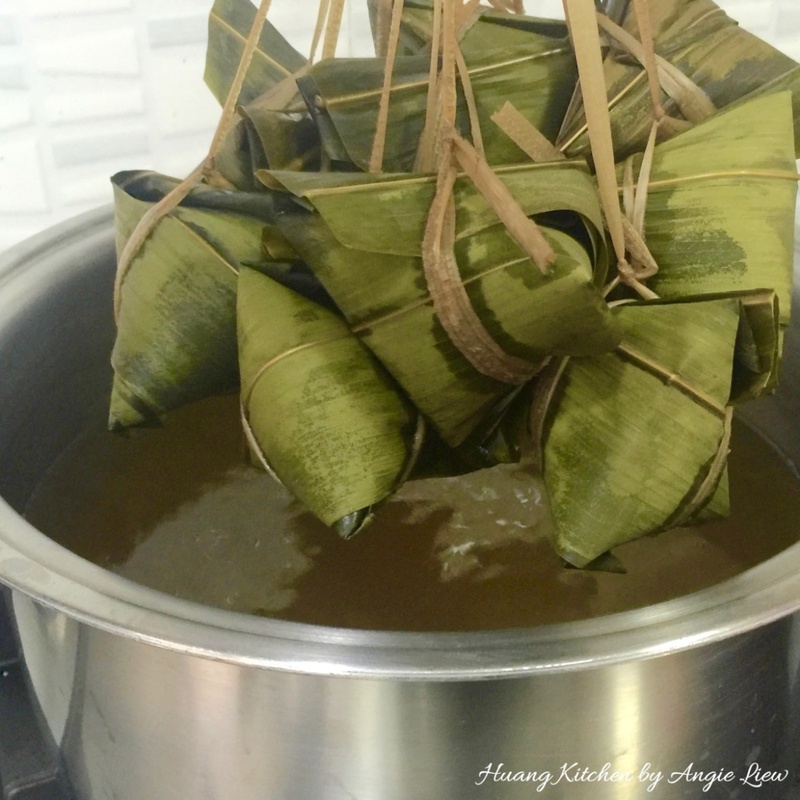 These Red Bean Alkaline Water Dumplings or Red Bean Kee Chang are actually sweet rice dumplings and they are one of the most basic sweet rice dumplings (Zongzi) made during the Dragon Boat Festival. But these sweet dumplings are no ordinary Kee Chang. 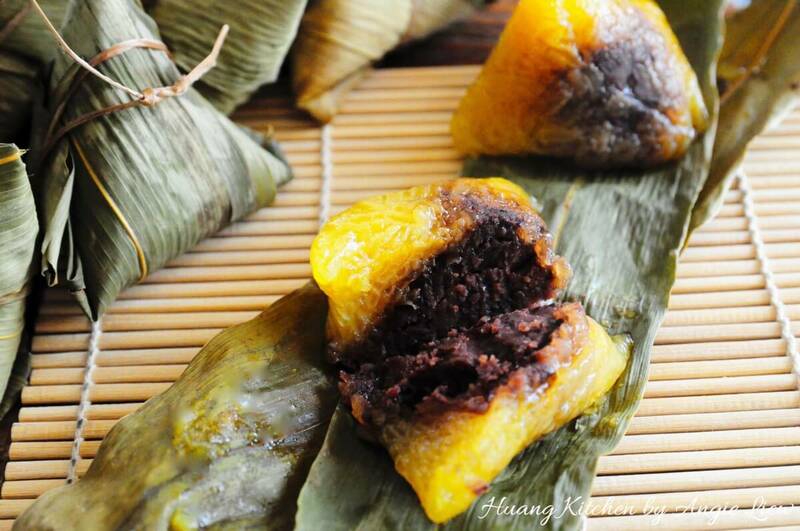 What make these sweet rice dumplings so special is they have red bean paste wrapped in them and the red bean paste is also homemade. 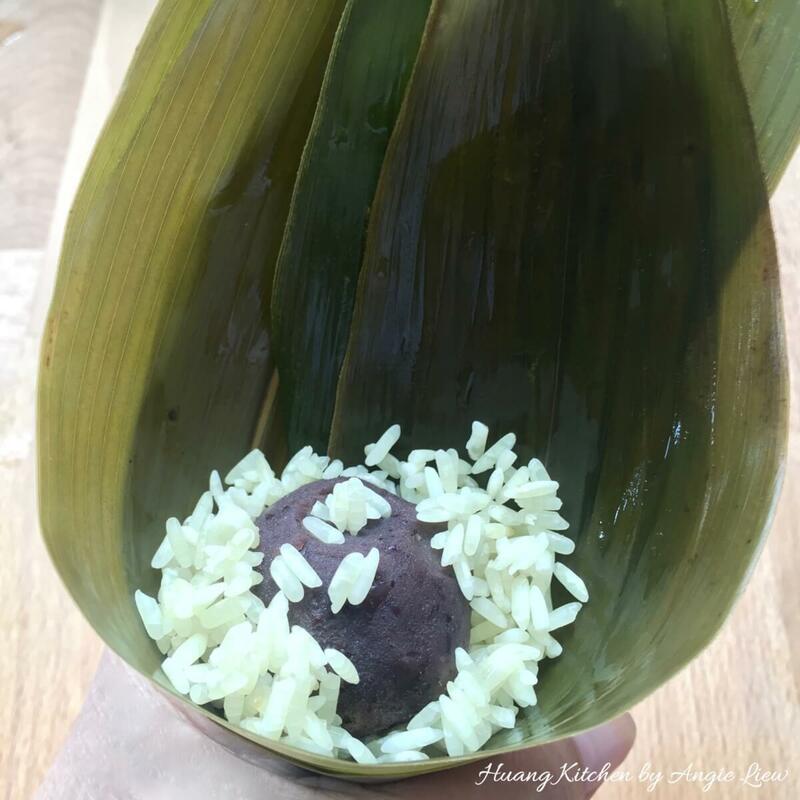 A much smaller version of the big and savoury sticky rice dumplings (Zongzi), these sweet rice dumplings are so much easier to prepare and to make. 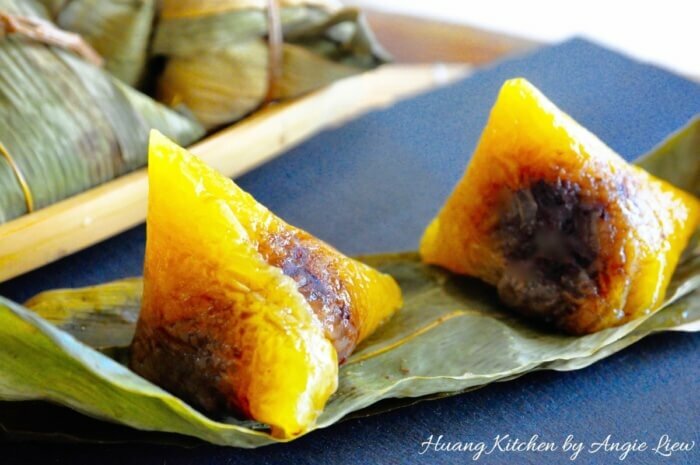 Nevertheless, wrapping each individual dumpling meticulously and cooking them for hours certainly make these sweet and gooey dumplings a labour of love so be sure to ENJOY! 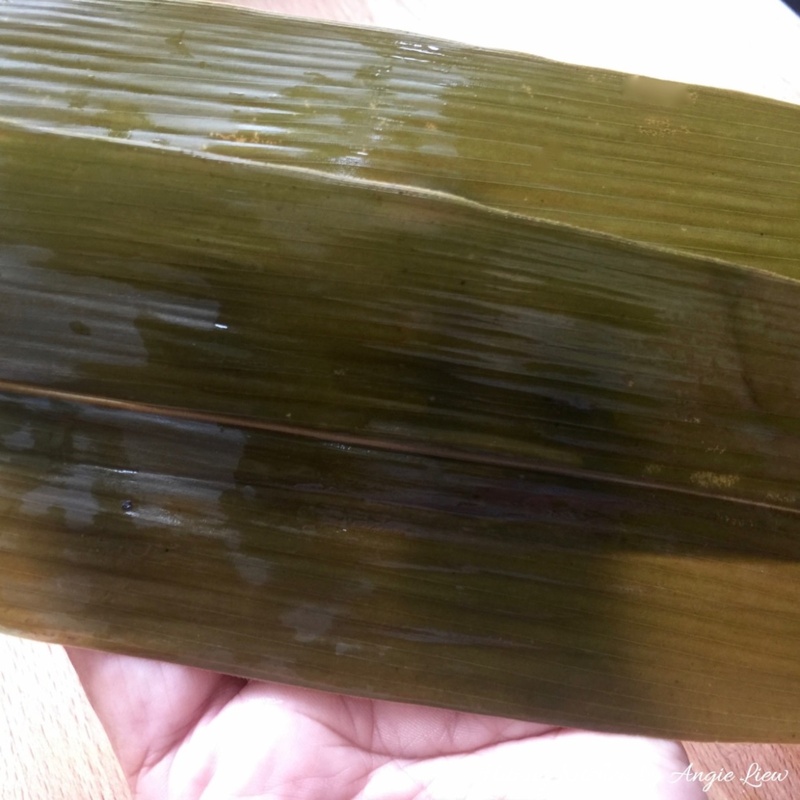 Alkaline water dumplings, also known as Kee Chang (碱水粽/枧水粽) are made using glutinous rice with alkaline water. 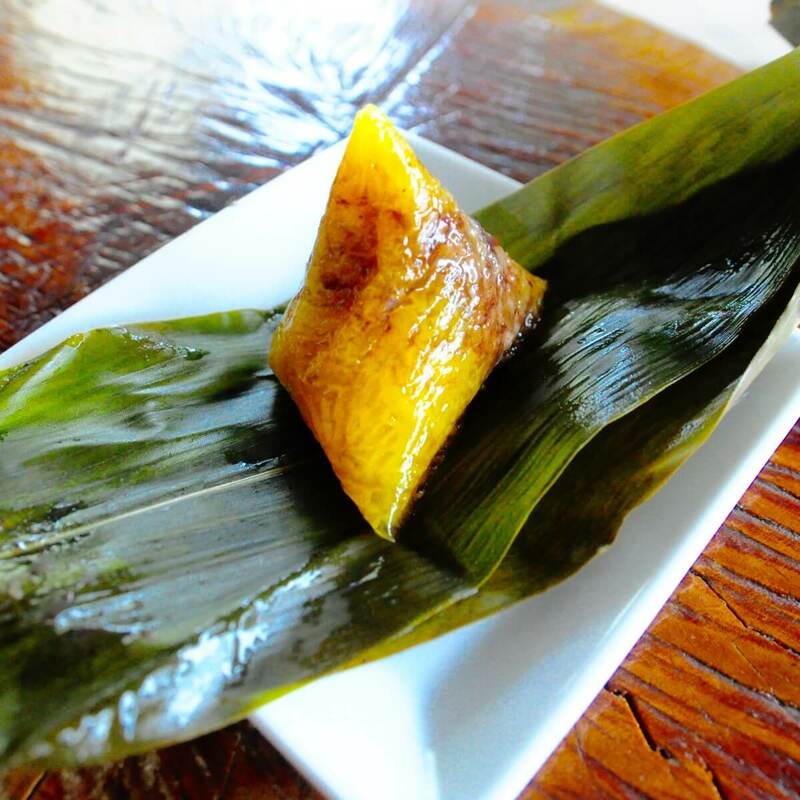 What make these sweet rice dumplings so special is there's delicious red bean paste wrapped in them! 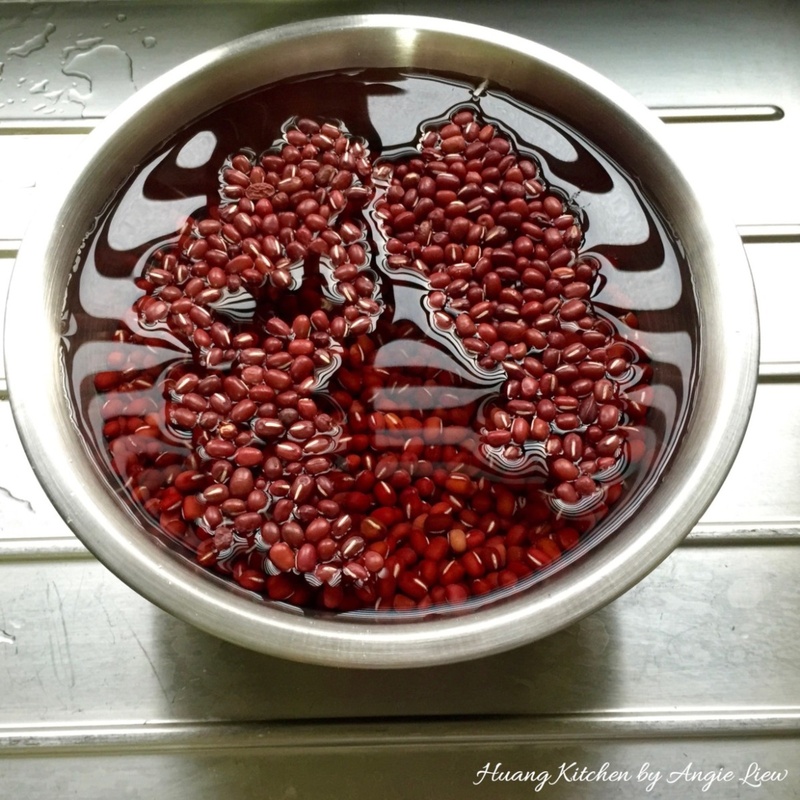 Wash and soak red beans for 30 minutes. 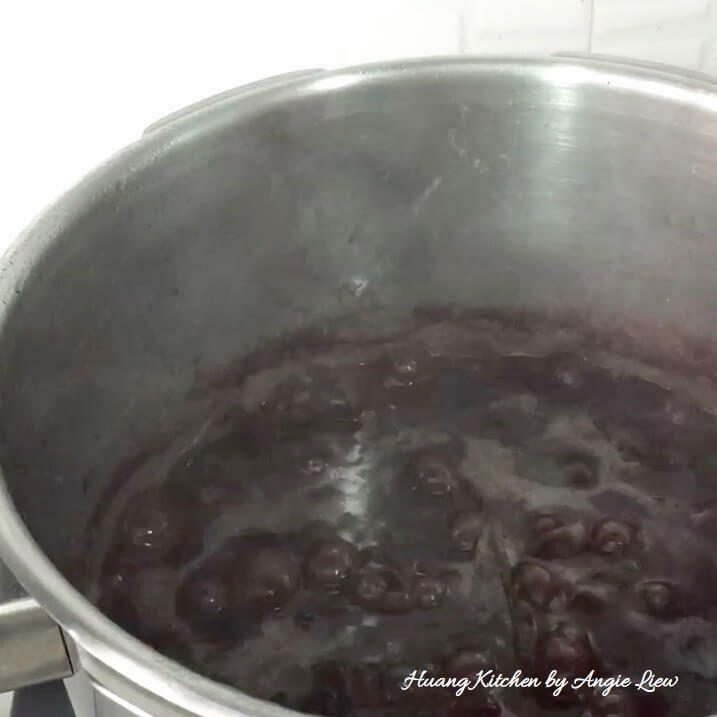 Place soaked red beans, knotted screw pine leaves and water into a pressure cooker. Cover and cook the red beans till soft, about 30 minutes. You can choose to drain off the liquid or continue to cook till liquid evaporates. 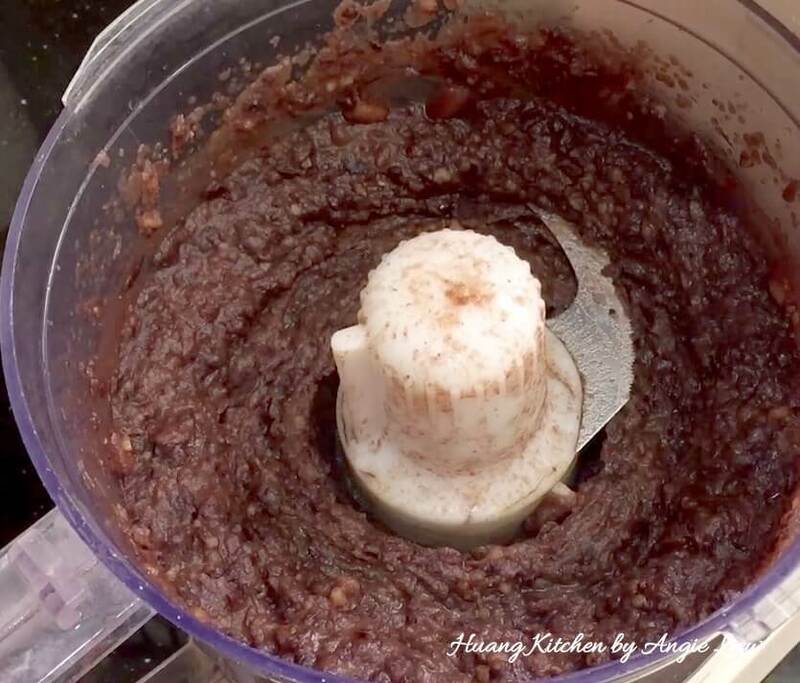 Transfer the cooked red beans to a food processor. 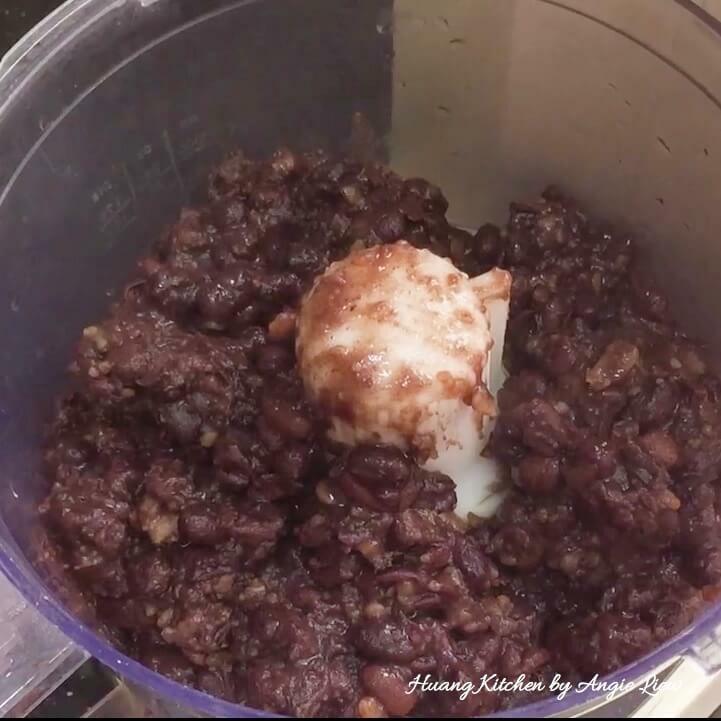 Process or blend the cooked beans to form a smooth paste. 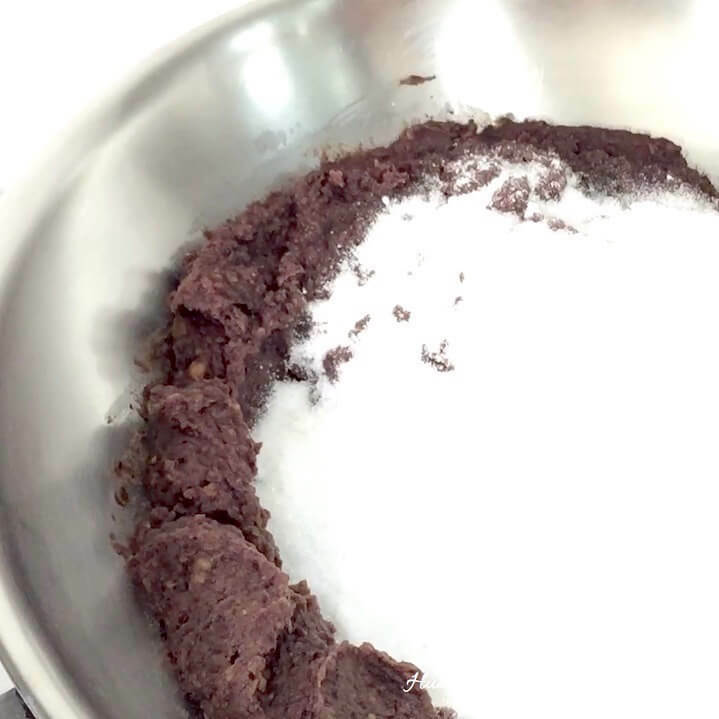 Place the red bean paste in a clean wok and cook till dry, stirring constantly. Stir constantly until the sugar dissolves. Next, add in the oil. 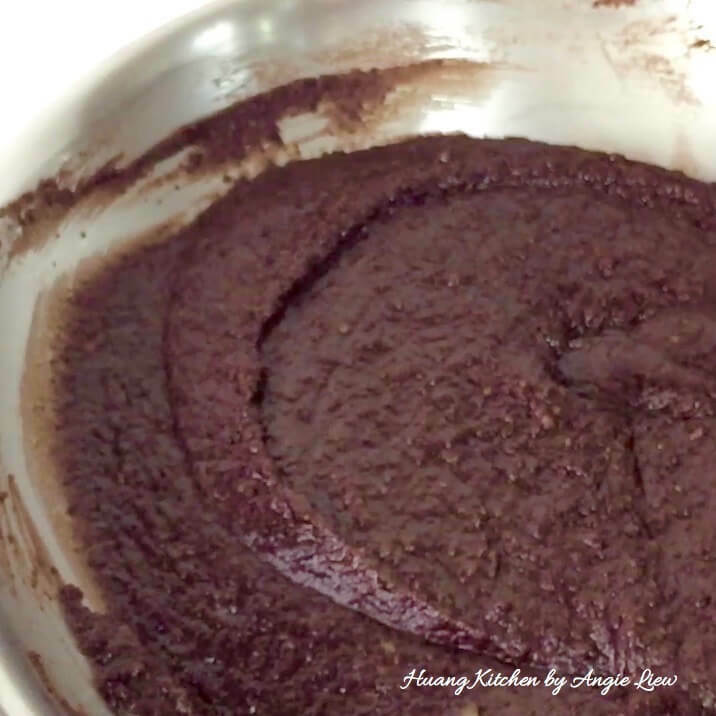 Stir slowly until the mixture turns into a smooth paste. 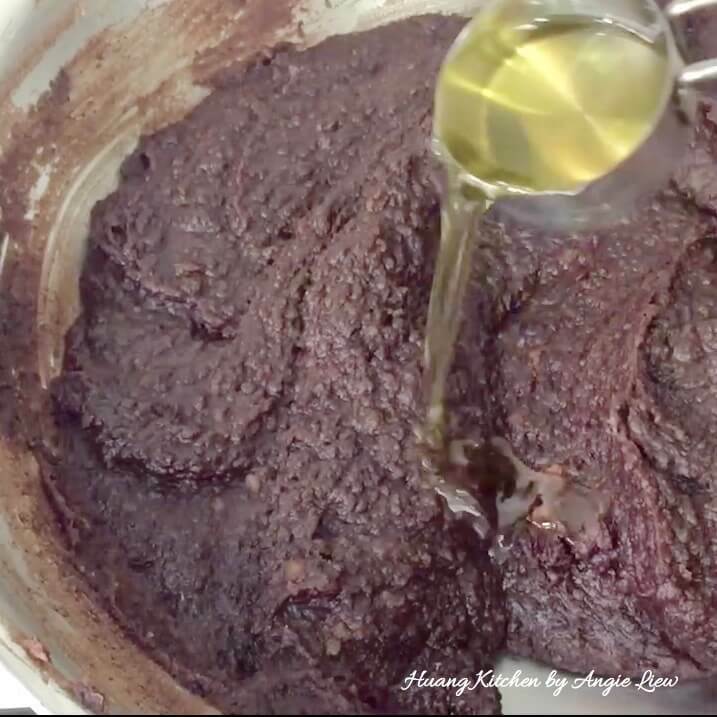 Transfer the smooth and shiny bean paste to a casserole and allow to cool completely before use. 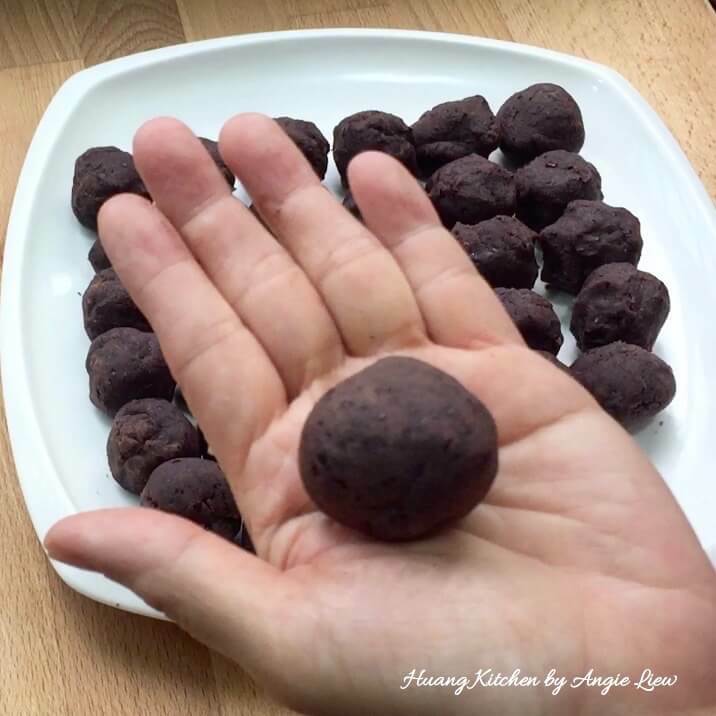 Once cooled, divide the red bean paste and make into balls. Set aside for later use. 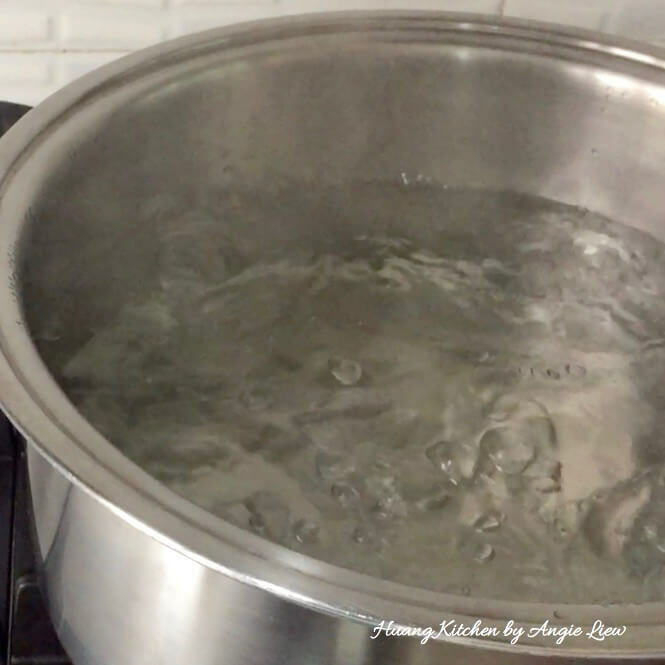 Heat a large pot or wok of water to a boil. Add in a tsp of oil. 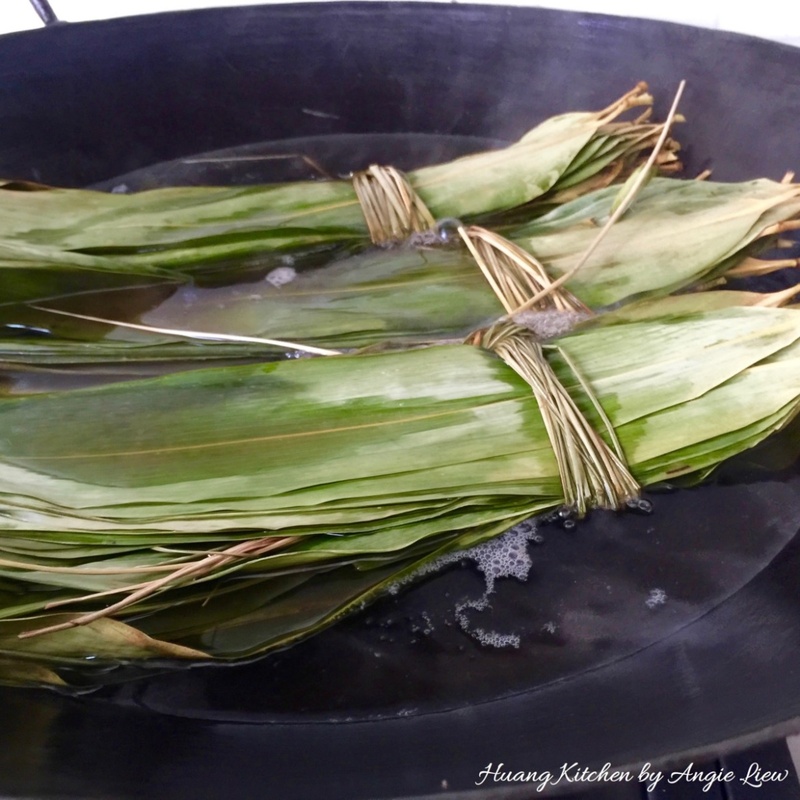 Add bamboo leaves and grass strands and boil for about 10 minutes or until the leaves turn soft but are still green in colour. 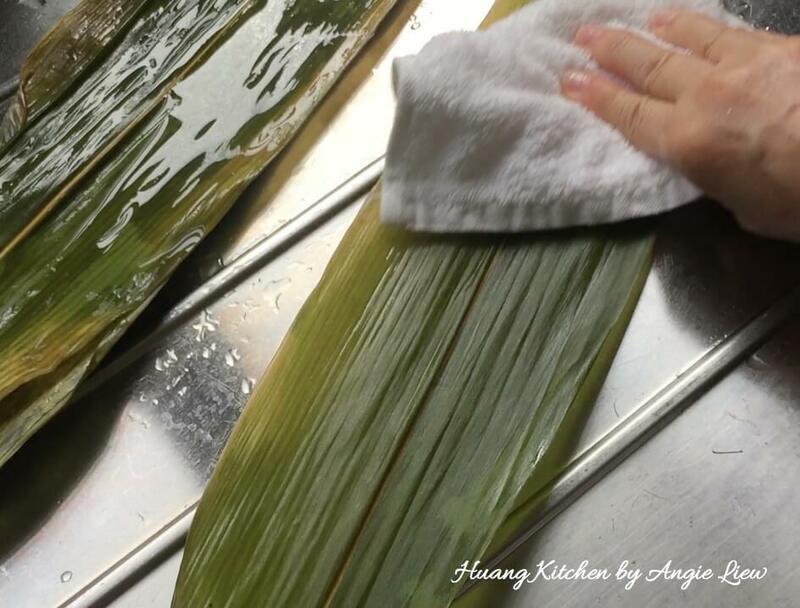 Remove the bamboo leaves from the heat and use a clean cloth to wipe the leaves piece by piece. 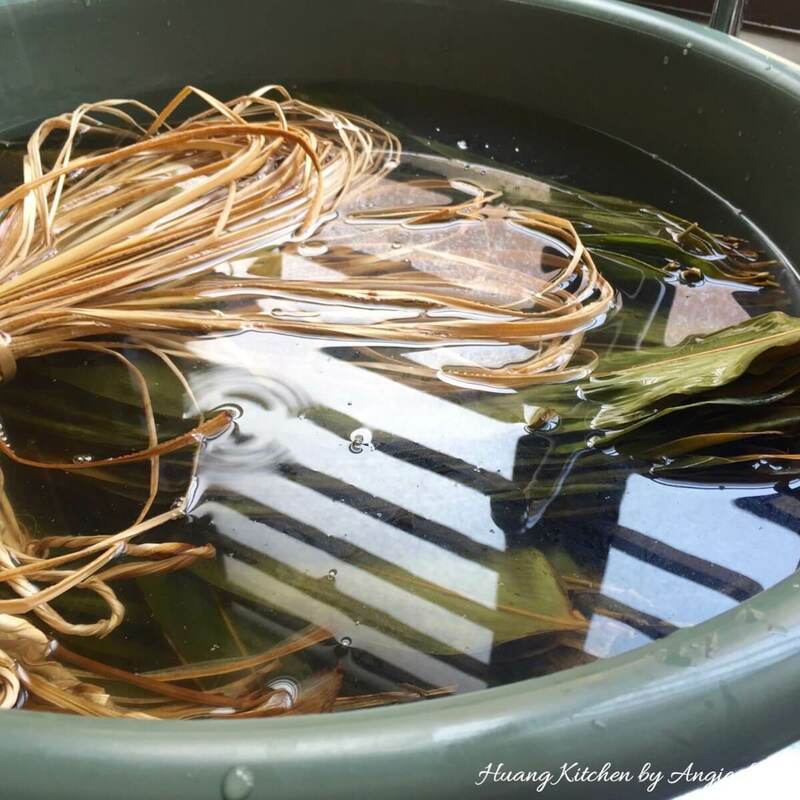 Set aside the cleaned bamboo leaves and grass strands to soak in cold water until needed. 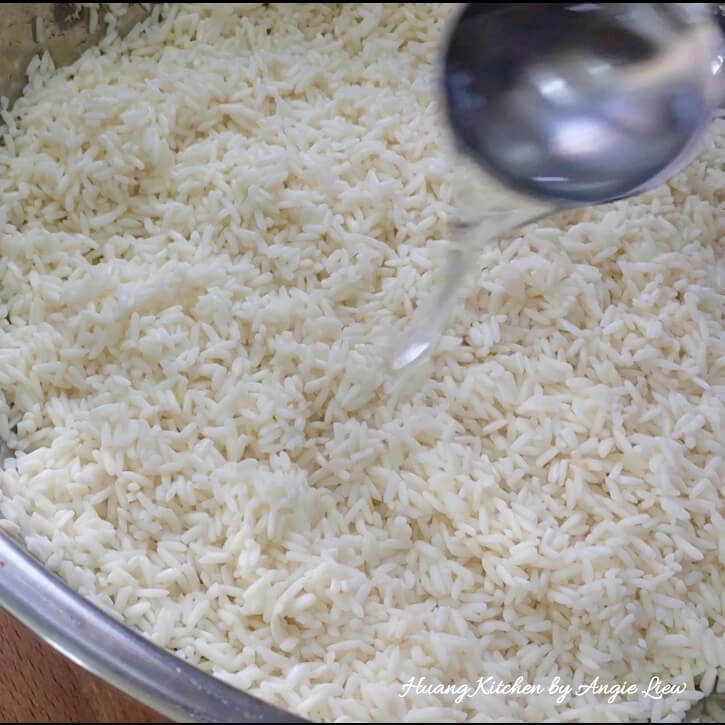 Wash glutinous rice for few times until water runs clear. 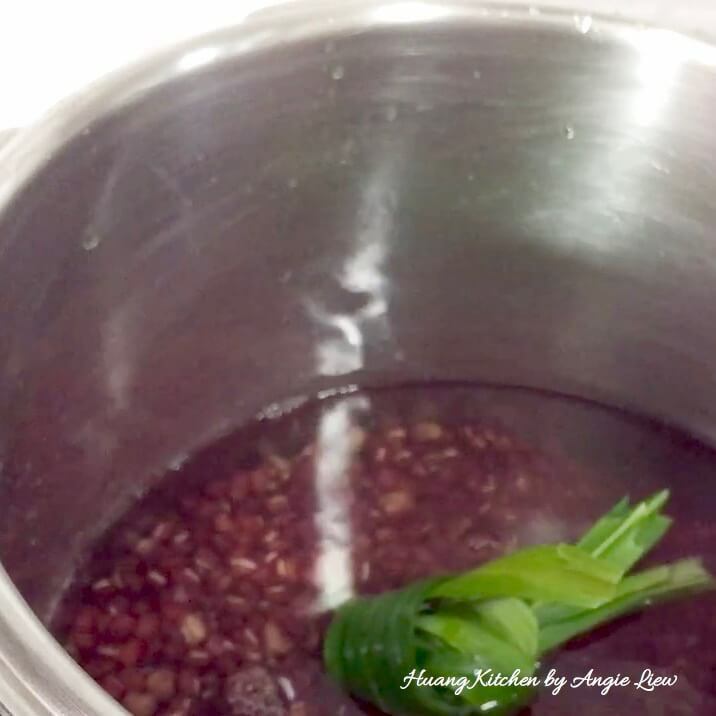 Add enough water to cover the glutinous rice and soak for at least 2 hours. 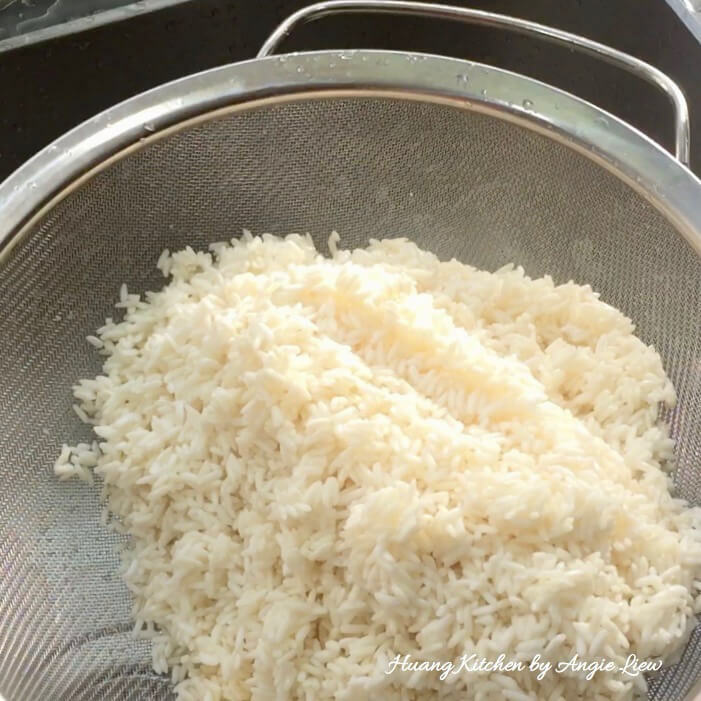 Drain the soaked glutinous rice using a strainer. 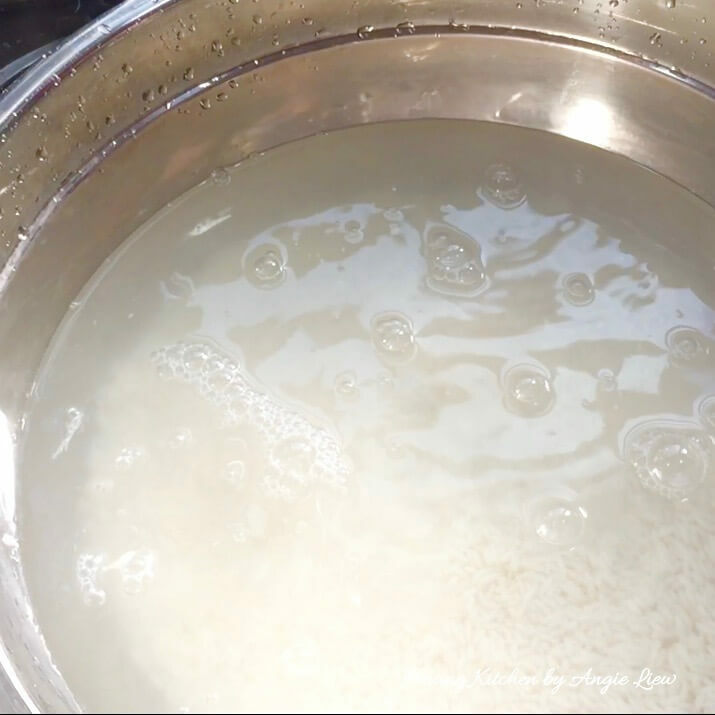 Mix thoroughly the glutinous rice with alkaline water and vegetable oil. Set aside for another 30 mins. And we're ready to wrap the alkaline water dumplings. 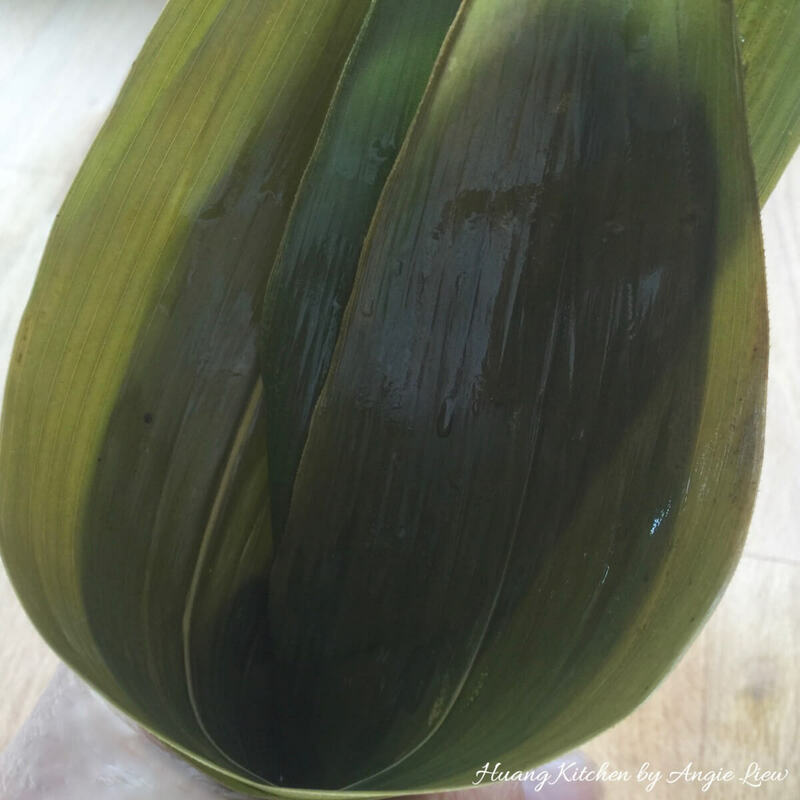 To start, first lay 2 bamboo leaves, smooth sides up in opposite directions, with one over-lapping the other. Bring the ends together to the middle to form a cone. 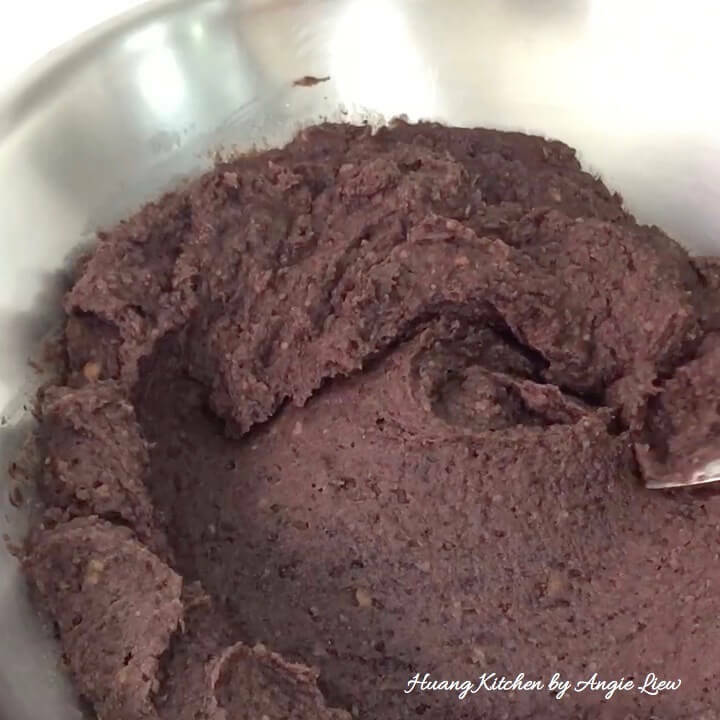 Put a tablespoon of glutinous rice in the cone and add a ball of red bean paste. 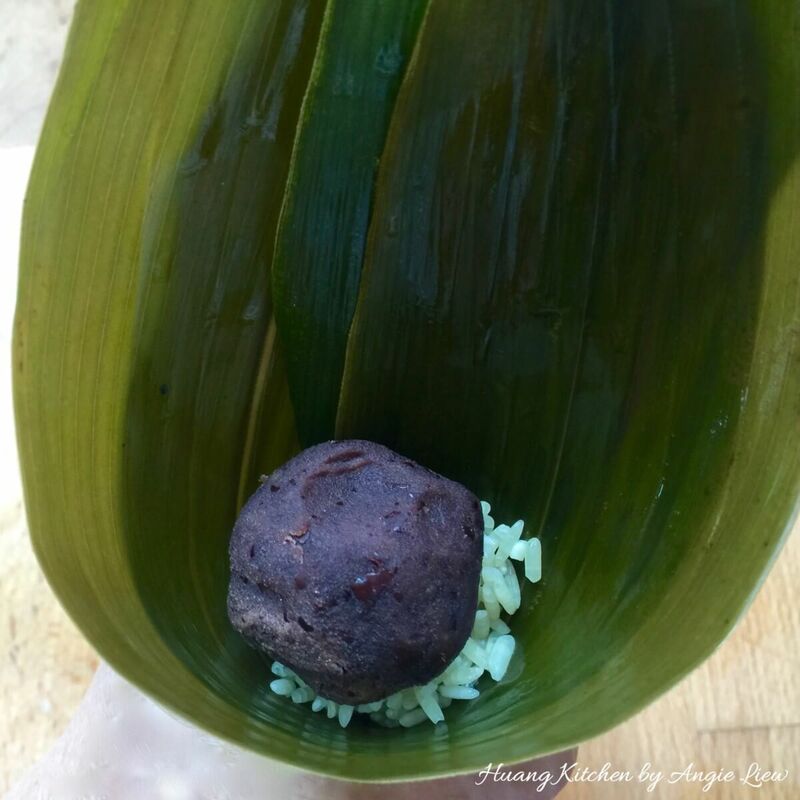 Top with more glutinous rice to cover the red bean paste. 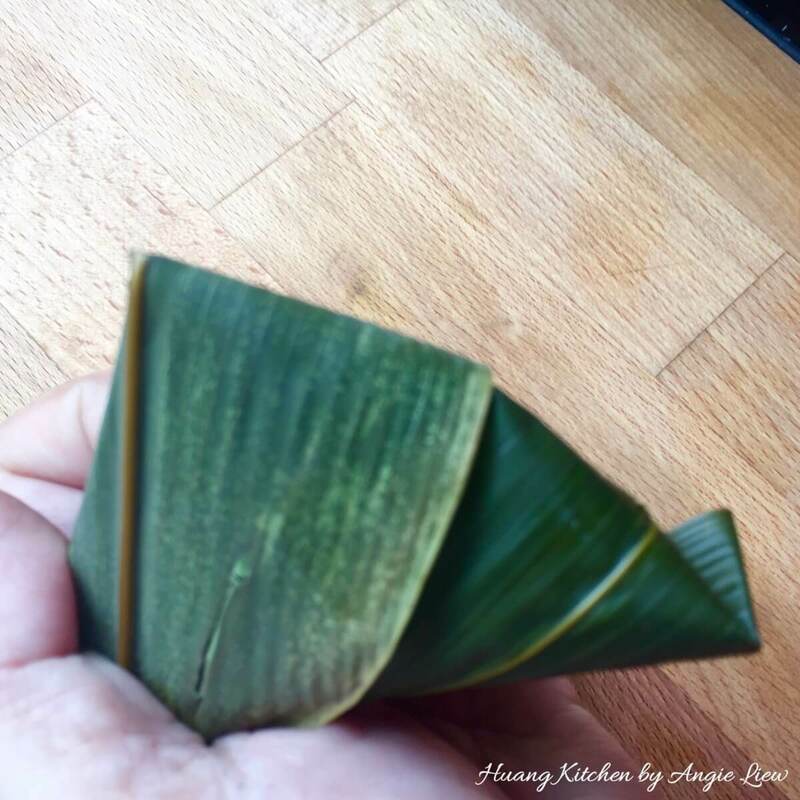 Next, fold the leaves over to cover completely the top portion of rice dumpling. Make sure you press the tip so that the end is pointed. Twist it side way to follow the shape of dumpling. 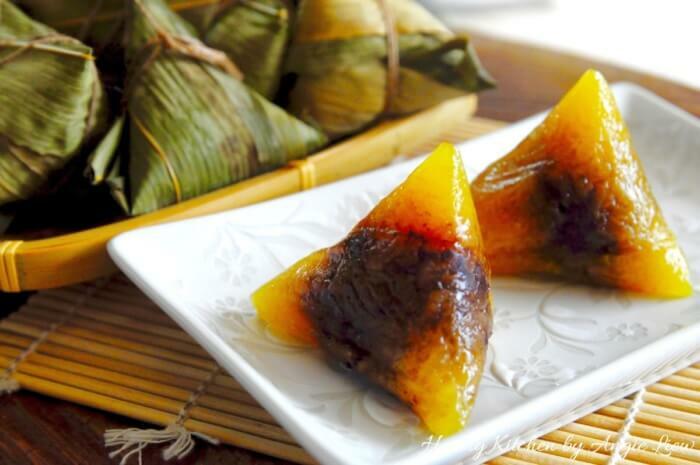 It should be in a triangular shape and you should be able to hold the dumpling in one hand. 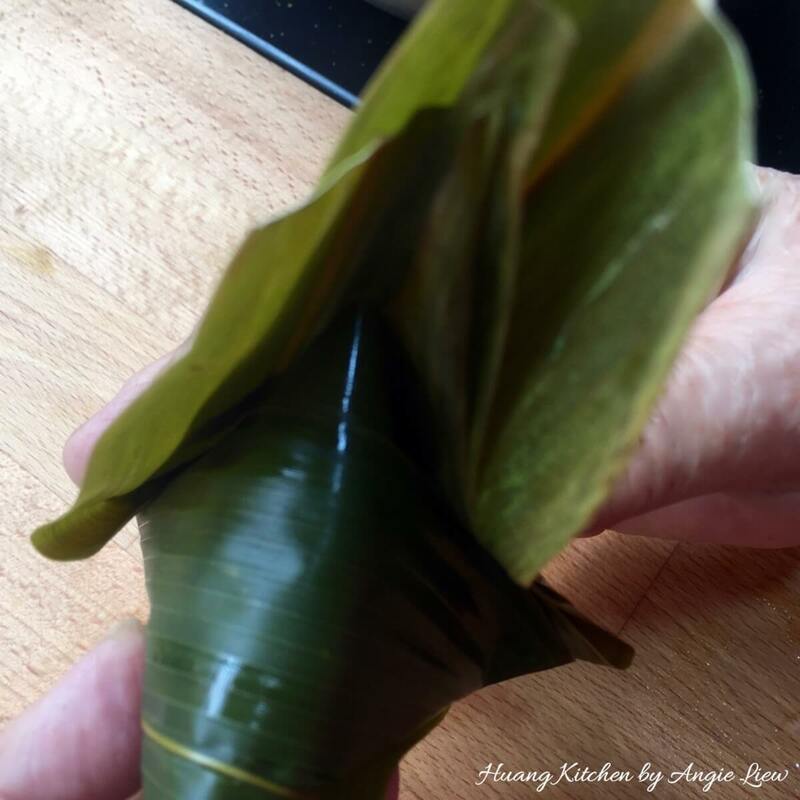 On shaking the dumpling, you should hear some rice grain hitting the leaves. 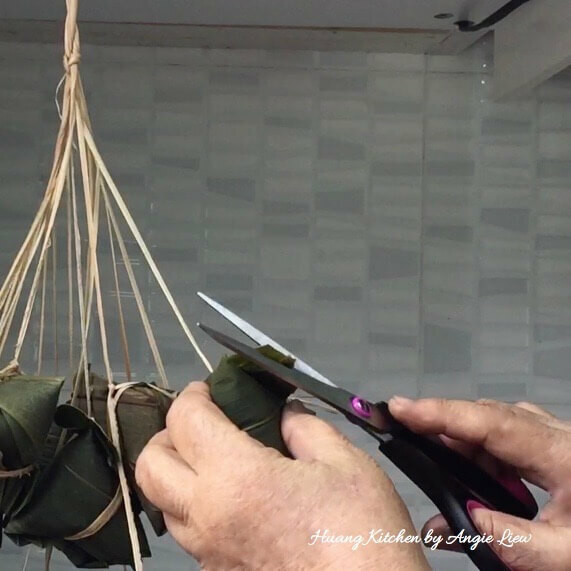 Tie the dumpling with the grass string twice, each time with an easy knot to ensure no loose ends. After wrapping, cut off excess bamboo leaves and grass strands. Repeat the process to make more dumplings. And we're ready to cook the dumplings. 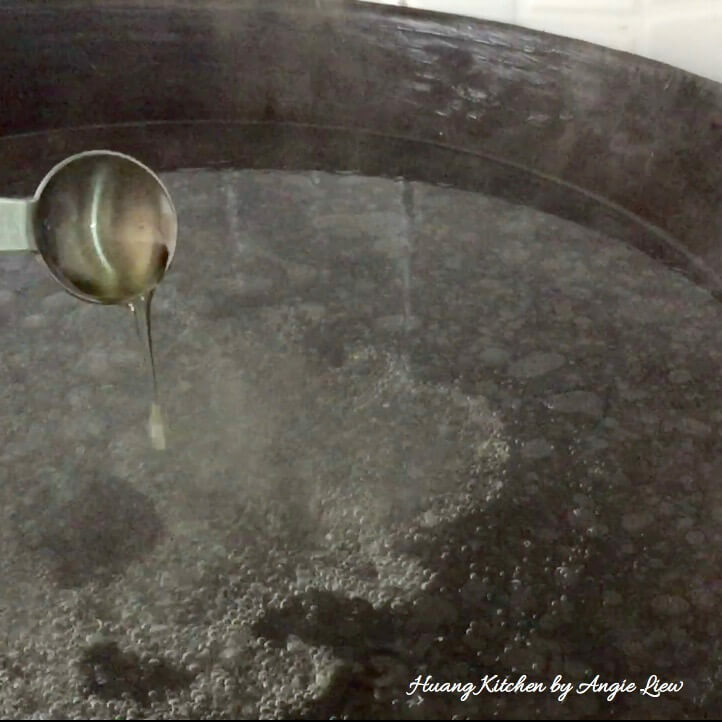 To cook the dumplings, first boil some water in a big pot. 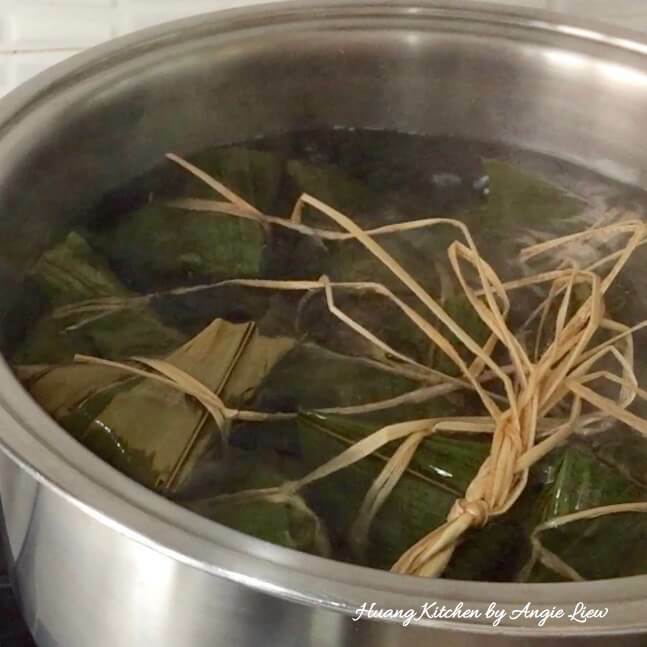 Gently lower the sticky rice dumplings into the water making sure they are fully submerged and boil the dumplings for about 2 hours or until cooked. Once dumplings are cooked, remove from the water. Hang the dumplings up and let them air dry and cool down for at least 1 hour before serving. To check if dumplings are cooked, dish up one dumpling and unwrap to check if the inside of the dumpling is soft enough. 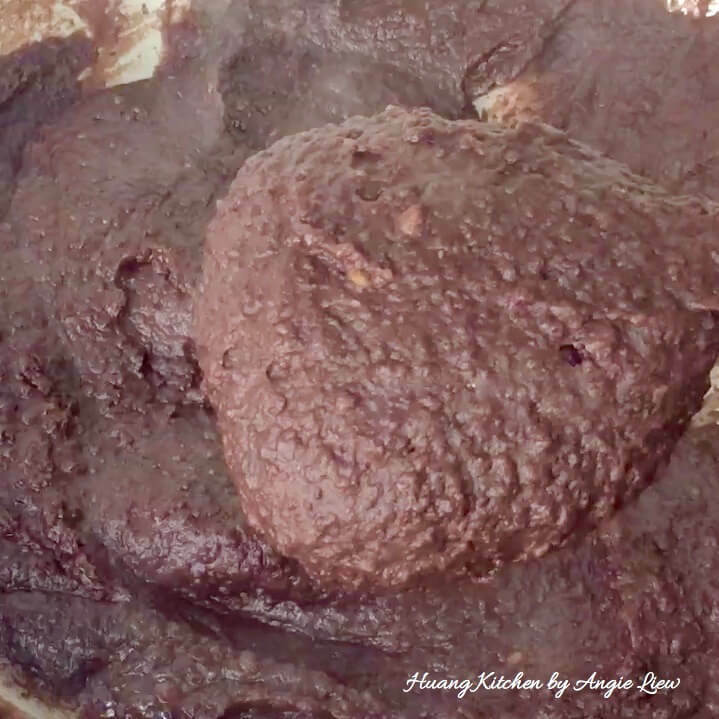 If it is still hard or bitter, continue to boil for another 30 minutes. 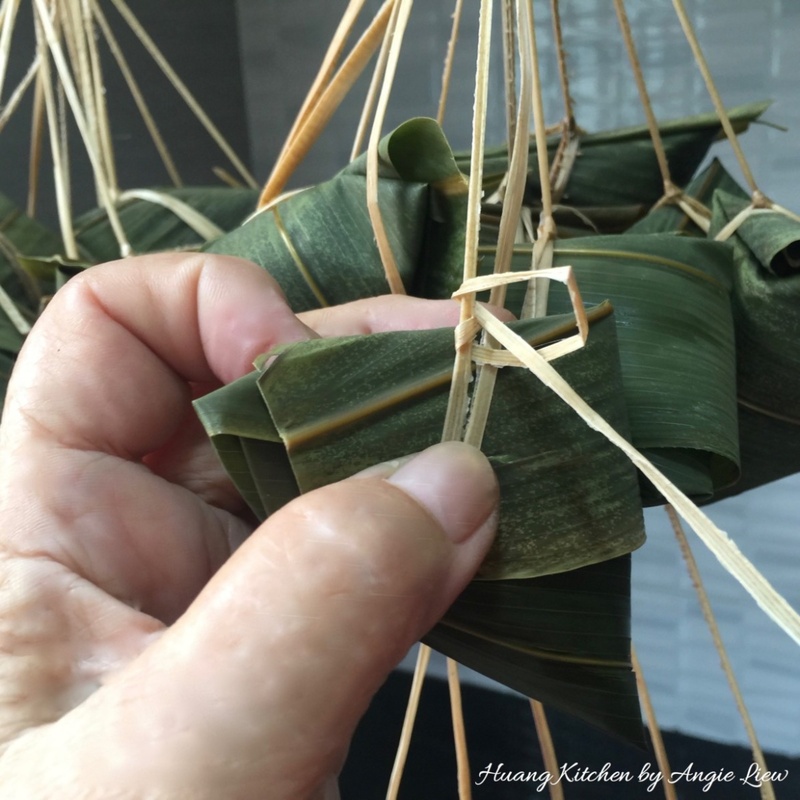 Untie the rice dumpling right before serving and serve warm or cold. As always, ENJOY! To make really nice alkaline water dumplings, you need to first pick out ordinary jasmine rice grains that may have got mixed in the glutinous rice. 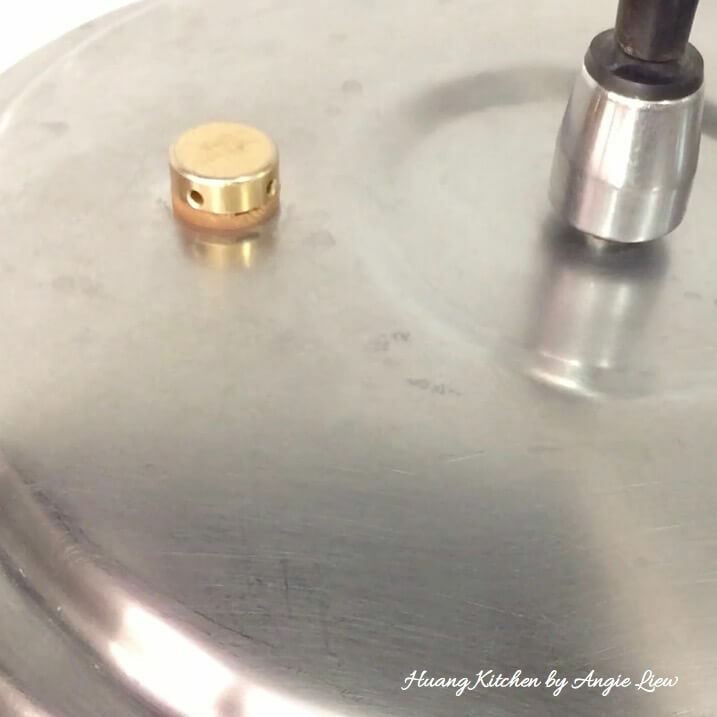 This will ensure the cooked alkaline water dumplings to be waxy and translucent looking. (This can be done ahead of time). Do not wrap the alkaline water dumplings too tight as the glutinous rice will expand when cooked and this will cause the leaves to break. 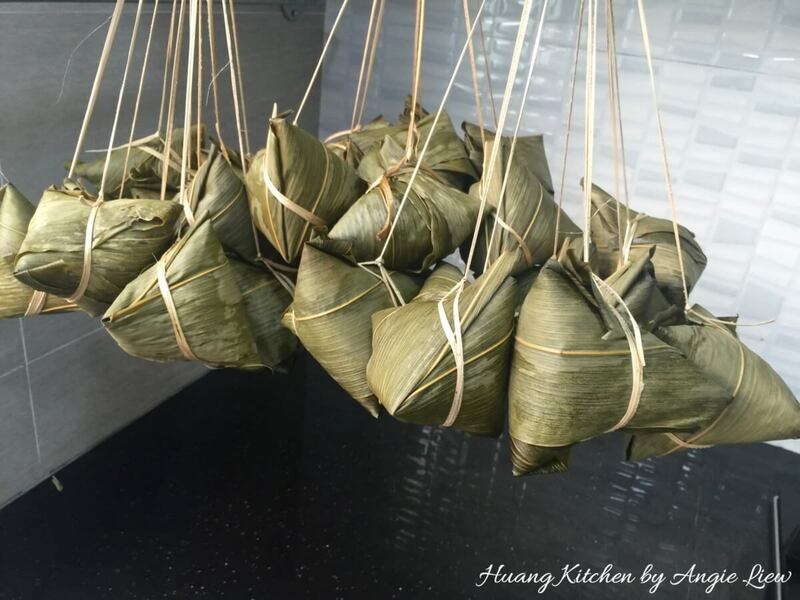 To know if the rice dumplings has been wrapped well, shake the uncooked alkaline water dumplings and make sure there are sound resulted from rice grains hitting the leaves. To serve leftover dumplings, leave them to cool to room temperature after removing them from the refrigerator and serve cold.